I recently attended a manufacturing roundtable chaired by the Minister for Business & Enterprise, Mark Prisk, and the Minister for State for Further Education, Skills and Lifelong Learning, John Hayes. Looking around the room, the vast majority of companies represented already work with Engineering UK in some capacity to reach the people who can really make a difference to the future of UK manufacturing and engineering: our young people. Businesses know what opportunities lay ahead for UK manufacturing and engineering; they know they are going to need a skilled workforce to realise them; and the majority know that collaboration on programmes that will inspire young people and equip teachers are key to revitalising and sustaining UK business and industry. What they need from Government is support. With global engineering organisations or SMEs in almost every UK city, it is clear that we need to secure the talent pipeline on a national scale. This can only be done with the collaboration of the wider engineering community, with programmes such as Tomorrow’s Engineers and The Big Bang inspiring our future workforce the length and breadth of the UK. We’ve had a couple of important milestones in the past month. The launch of the Tomorrow’s Engineers “Around the World” careers outreach programme took place at a school in Birmingham. This is the product of a brilliant collaboration with engineering firms E.ON, GKN, Goodrich, Jaguar Land Rover, National Grid, Rolls-Royce and Severn Trent. Combining our strengths means that we can provide 13-14 year-olds with a powerful and effective introduction to the exciting opportunities offered by engineering careers, backed up by careers information and resources. The activities are fun and linked to the curriculum so that pupils can see how their design and technology, science and maths subjects really apply to the world of work. Crucially, the involvement of large but local engineering companies gives young people an understanding of the real-life employment opportunities that will be available close to home. 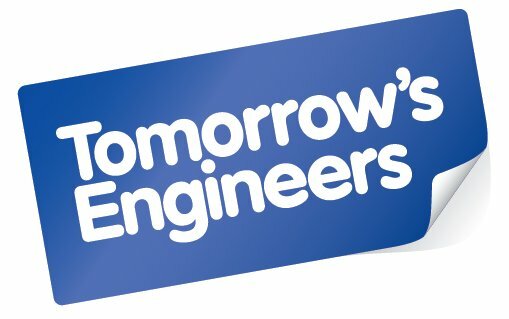 You can see pupils’, teachers and companies’ reactions to the Tomorrow’s Engineers pilot on the Tomorrow’s Engineers YouTube channel. The second proud moment was when The Big Bang Fair 2012 was awarded The Royal Academy of Engineering’s Rooke Medal in recognition of its success in promoting engineering to young people. This is testament to our ability and enthusiasm to develop new ways to work with a wide collaboration of stakeholders. The next step is to reach out to even more and on a local scale with The Big Bang Near Me Fairs, from the top to the bottom of Britain. Involving local business, charities and education providers, the Near Me Fairs enthused and inspired another 20,000 pupils and teachers about science and engineering careers. You can take a look at some of the action at The Big Bang YouTube channel. These UK-wide Fairs are now an integral part of The Big Bang programme and, with the introduction of local and school Fairs, the combined efforts of the engineering community are making an impact right where they are needed – everywhere. I am afraid I had to Google to find out who Engineering UK were. This really sums up what is going on with Engineering in this country, we really need one body or voice who can bring all these organisations and fantasic ideas together. As a simple merely ‘trained’ Engineer I am most grateful for the Times staff -clearly much better persons than a ‘pleb’ (if Mr Mitchell, my obvious superior will permit me to use such a word) like myself- for providing the short series about the Arts, philosophy, literature, etc to further my education. In return, and in the interests of ‘balance’ between the Arts and the Sciences (ably described by CP Snow all those years ago, albeit we appear to have forgotten) may I and my equally untrained and uneducated fellow Engineers be permitted to provide some short simple ‘technology’ crib-sheets for your readers? We would of course remember our places at the bottom of the cake-list (even if we actually provide most of the ingredients and the cake itself for others to divide) and will touch our forelocks regularly. We might provide some simple equations, very succinctly describe the mathematics which links them and the forces of Nature -which we spend most of our time manipulating for the benefit of all mankind- which they describe. We would offer some simple one-liners about their use in daily life. For example, the simple act of stopping one’s car at a traffic light on the journey to work involves a detailed interaction between thermodynamics, mechanics, hydraulics, electronic Engineering, aerodynamics, sound power ratios, and so on. Writing an editorial would be similarly difficult to describe, but of course we know that you guys use quill pens and parchment. Well don’t you? As for printing the paper each day: tolerances (that is fits between mating parts -sorry about the use of mating, it too often has other connotations) that would amaze you, are involved, as is the technology and chemistry of the ink formulation and its application. I’ll stop there but I believe you are getting my point!